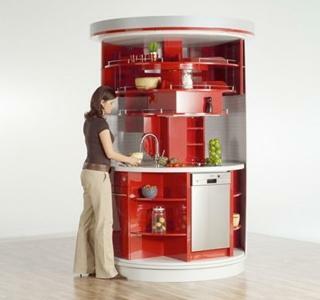 I became involved in designing mini-kitchens for YesterTec when I helped my daughter move into her first Manhattan Studio apartment. The entire apartment including the bathroom was less than 280 square feet and exposed to view was the efficiency kitchen shown above. 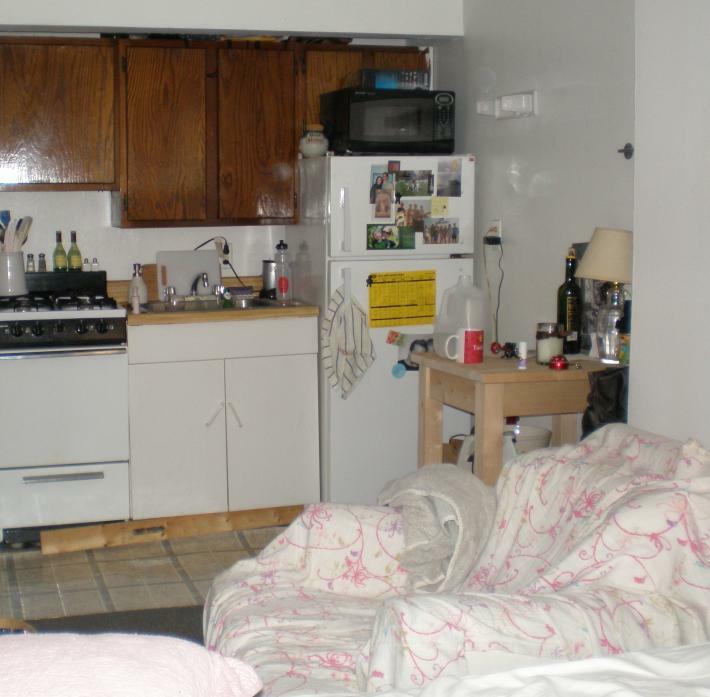 Granted, this was close to the bottom of the price range for Lower East Side housing, but it struck me that there must be a better way to integrate a kitchen into such a small space but multi-functional room. A little research turned up a few companies that were quite involved with creating mini-kitchens. 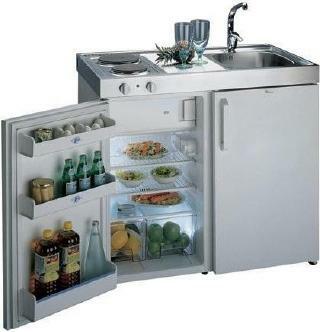 Perhaps the best known is Dwyer, a large company that has many lines of compact kitchens to fit all kinds of uses. The Whirlpool kitchen shown below is one of the more compact models available, larger models typically add more storage, upper cabinets, counterspace and appliance and styling options to this basic core. But these kitchens still keep the contents of the messy kitchen in view at all times. And for small space multi-functional rooms like studio apartments, extended stay hotel rooms, executive offices and the like, an exposed kitchen can compromise the styling of the room. 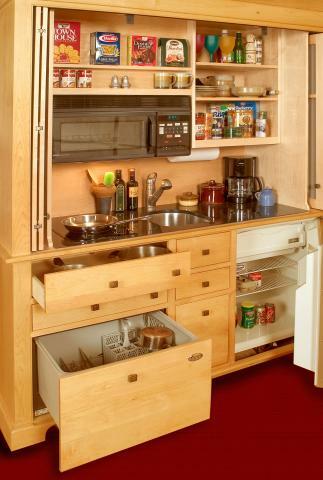 So the answer was to create an efficient kitchen that can also be concealed. I thought that though the kitchen may stay open a lot of the time, the choice to close it up from view would be quite desirable at times. 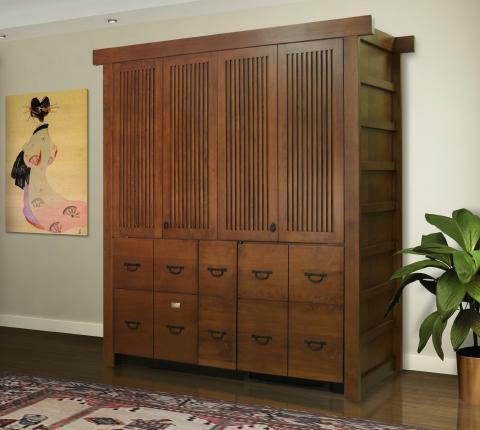 We also thought that the design should be able to mix in with a variety of furniture styles. And though it should be a strong enough design to become a focal point in a room, we also wanted it to be able to recede into the background when necessary. 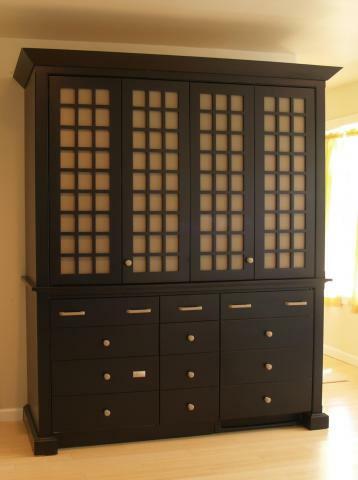 So we came up with an armoire styled mini-kitchen, which incorporates our U.L. 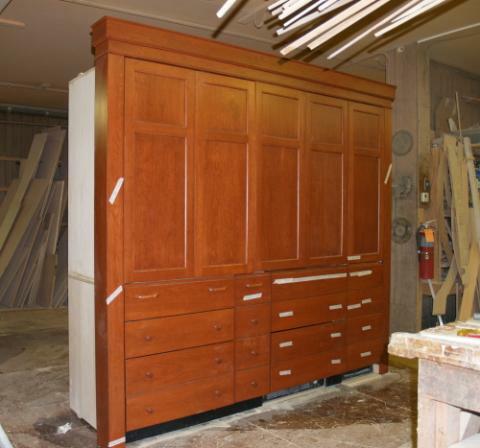 Listed appliance hiding safety features so that when the kitchen isn’t in use, it can look just like a piece of fine furniture. And it can be styled by the designer to meet most design themes. Multigenerational households are proliferating for all kinds of reasons: boomerang kids moving home to save money; elderly parents who need family support; young parents relying on grandparent care for their kids; and rapid growth among immigrant families for whom shared living is a cultural tradition. Sure, smaller homes generally cost less than large ones, but they’re not nearly as economical as a shared mortgage and a household where everyone pitches in. Nearly 50 million Americans now live in homes containing at least two adult generations, up from 28 million in 1980. And with nationwide unemployment rates continuing to hover around 9.8 percent, that phenomenon is likely to continue in the near term. 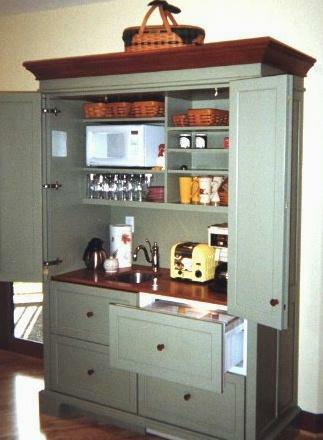 Some of our armoire mini-kitchens have already been used in various types of multi-generational households. Their ability to provide autonomy when it is desired has made them a great asset for these families. 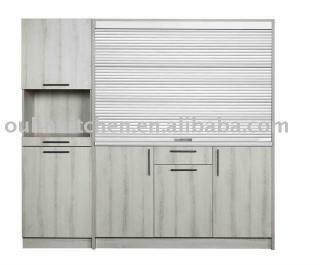 Next ArticleIts Kitchen Furniture! Need just one piece? 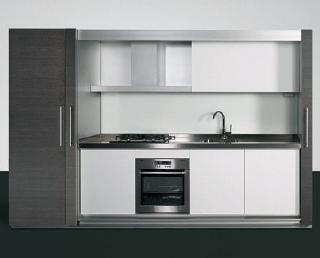 Previous ArticleLuxury Kitchen Design for Not-So-Luxurious Budgets!